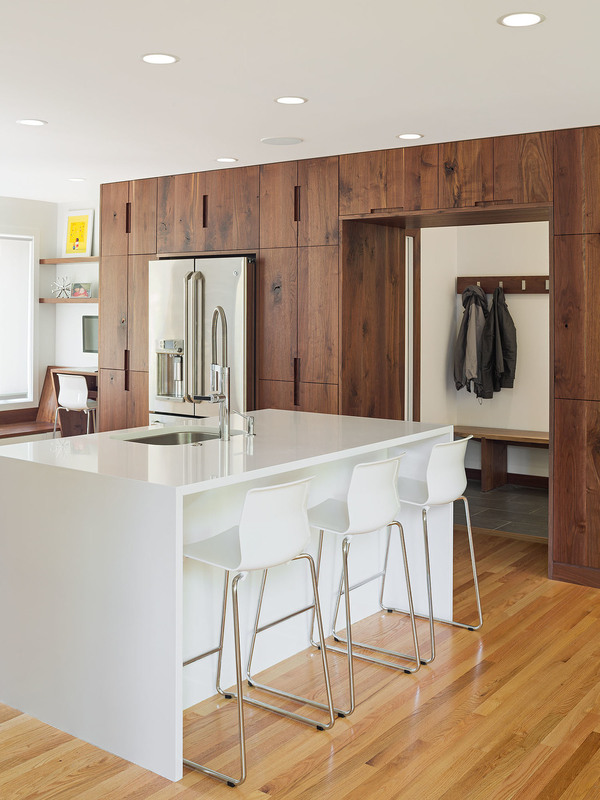 This 30' run of tall walnut cabinets provides ample additional storage for the client. The custom routed handle details allowed us to provide a sleek and ergonomic handle that does not break the plane of the beautiful expanse of walnut. The gloss, white lacquer cabinets provide a nice clean counterpoint to the dark walnut.